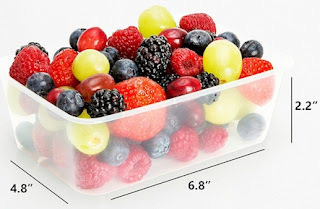 Amazon has got this set of 50-count plastic food storage containers for $17.99 with free Prime shipping (36 cents per container). These got 4.0 out of 5 stars over 280 customer reviews. They are BPA-free and microwave and dishwasher safe. Perfect for Passover prep cooking. If you are looking for reasonably-priced vertical (rather than horizontal) food storage, check out this 24-count of 32 oz. 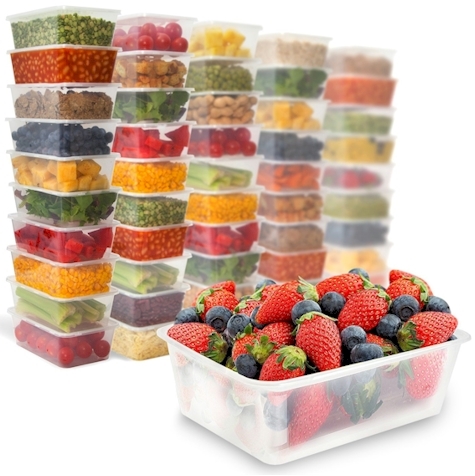 containers for $11.99 with free Prime shipping (50 cents per container). These got 4.5 out of 5 stars over 132 customer reviews and are an Amazon #1 Best Seller.